The Express Tribune: Amid tensions with India, Pakistan on Tuesday announced that it has successfully test-fired an indigenously developed extended range “smart weapon” from JF-17 Thunder fighter jet to provide it a very potent day and night capability to engage variety of targets with pinpoint accuracy. 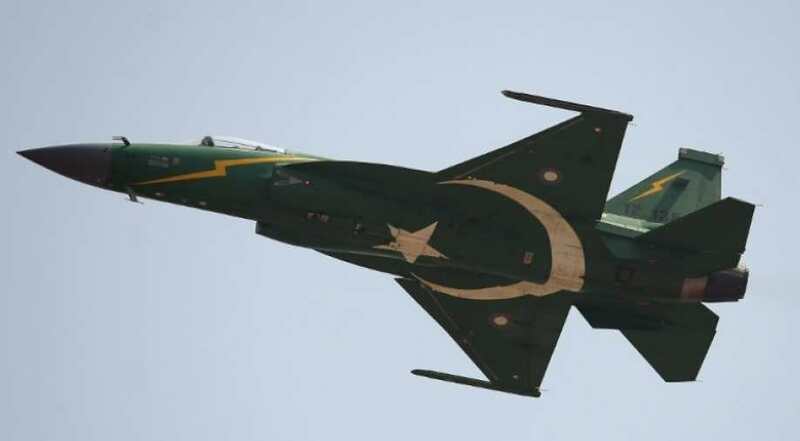 The Pakistan Air Force (PAF) also said that experiment marked a great milestone for the country as the weapon has been developed, integrated and qualified solely through indigenous efforts of Pakistani scientists and engineers. “The successful trial has provided JF-17 Thunder a very potent and assured day and night capability to engage variety of targets with pinpoint accuracy,” the PAF said on the Chinese-made aircraft. Chief of the Air Staff Air Chief Marshal Mujahid Anwar Khan lauded the efforts of scientists and engineers. He also congratulated the PAF personnel on the achievement of this monumental indigenous capability. “Pakistan is a peace loving nation but if subjected to aggression by adversary, we would respond with full force,” the PAF statement quoted Anwar as saying. The exact technical details of the weapons test-fired were not shared by the PAF. The JF-17, which was previously referred as FC-1 Xiaolong, a single-engine multi-role light fighter was being jointly produced by Pakistan with China for several years with engines supplied by Russia. The trial comes amid tensions between India and Pakistan after a suicide bomber of Pakistan-based Jaish-e-Muhammed (JeM) killed over 40 CRPF personnel in Kashmir’s Pulwama district on February 14.